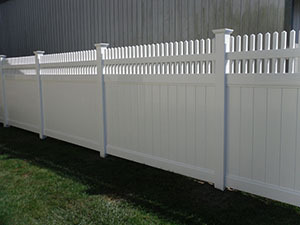 South East Fence offers a wide range of discounts and specials to show our appreciation to our customers. When you call to inquire about our full line of top quality vinyl, cedar, chain link and alumium ornamental fencing, make sure to ask about our current promotions, discounts and financing options that are available to qualified customers. Our team provides a wide range of services, including delivery, installation and expert support, to residential and commercial clients throughout the South East Massachusetts region. Ready to start your fence project? Contact South East Fence at our Lakeville, MA location by calling 508-947-4063 or stop by and take a look at our large display of over 40 types and styles of top quality fencing and fencing accessories. Don’t forget to ask about our discounts and specials, which are available to qualified customers.